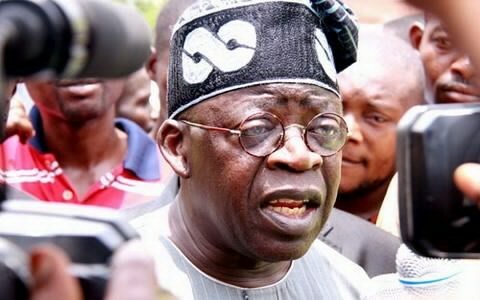 A chieftain of the All Progressives Congress, APC, Bola Tinubu, Friday, said he would publish a book detailing how the then incumbent President Goodluck Jonathan was defeated by the opposition APC. The APC National Leader spoke at the launch of “Against the run of Play”, a book written by Olusegun Adeniyi, spokesperson to former President Umar Yar’adua, in Lagos. Political analysts beleive Mr. Tinubu played a crucial role in the 2015 general elections, leading to the emergence of President Muhammadu Buhari. Speaking at the event Friday, Mr. Tinubu, who spoke through his media aide, Tunde Rahman, disclosed that he would soon reveal how the APC merger culminated in the defeat of the Peoples Democratic Party, (PDP), Premium Times reports. “Asiwaju is also working on his own book to tell his account of what transpired,” Mr. Rahman said. Commenting on the controversial vice-presidential slot, Mr. Rahman said he made a good choice by picking Yemi Osinbajo. “That nomination (of Mr. Osinbajo) has been a very good choice from all the wonderful things the vice-president has been doing,” he said. There had been reports in the newspapers that Mr. Tinubu, according to the book, accused some leading figures in the APC to have worked against his emergence as Mr. Buhari’s running mate. Reacting to the reports, Mr. Rahman said Mr. Tinubu was serially quoted out of context in the newspaper reports, adding that readers should carefully read through his principal’s submission in the book. “The account of what transpired as told by Bola Ahmed Tinubu in the book and as presented in some newspapers is not about him losing the vice-presidency and the eventual vice-president (Yemi Osinbajo) emerging, as the reviewer has put it,” he said. Commenting further, he said, “Asiwaju spoke in greater context in that book, and when people are making comments, they should speak with the context in which he spoke. “If they are saying that Asiwaju lost the vice-presidency and that a vice-president emerged, where did he emerge from? Who nominated the vice-president?